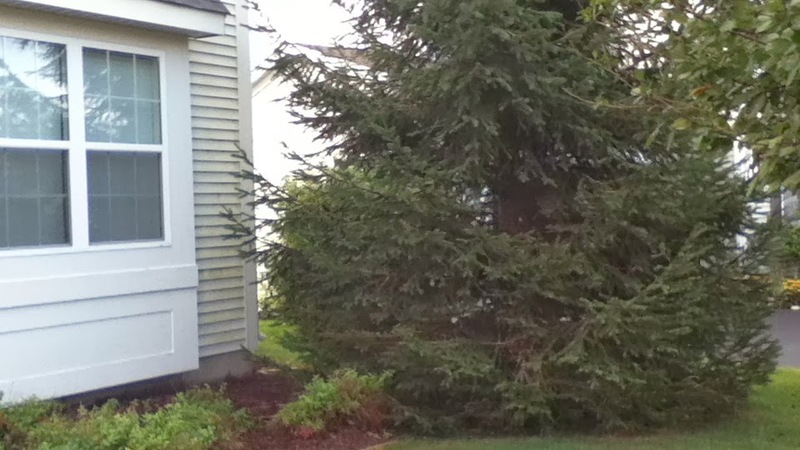 A few months ago, my dad and I cut down an evergreen tree that was growing out of control, causing the siding on our house to mold by blocking sunlight and keeping in moisture. I decided to take photos of the experience so I could help anyone else who might be taking on the same project. I finally got around to organizing all the photos and editing them for posting. 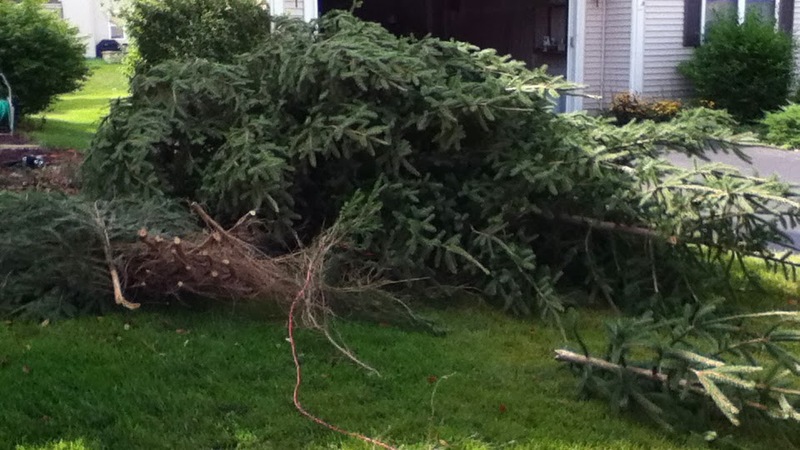 This is the tree that we cut down. 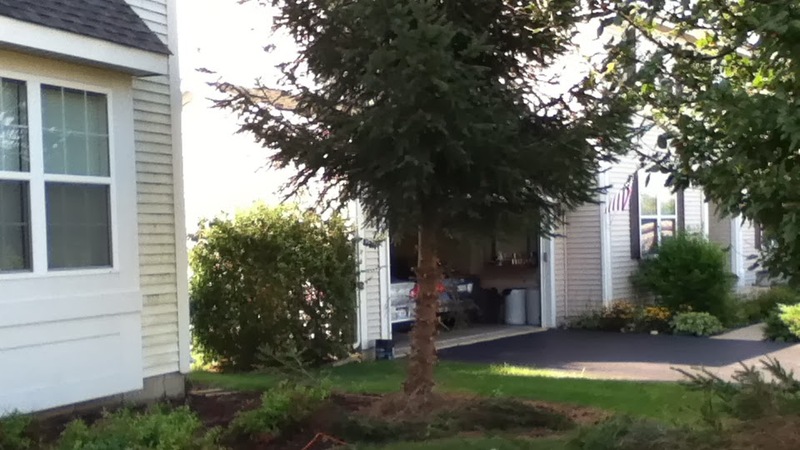 We started by cutting the branches off the bottom of the tree until we had a visible trunk we could use to actually cut down the tree. When we had easy access to the base of the trunk, we attached a string as high on the tree as possible, then cut the trunk. While my dad was cutting, I yanked on the string away from our and our neighbor’s houses so it wouldn’t damage anything on the way down and fall in the right direction. 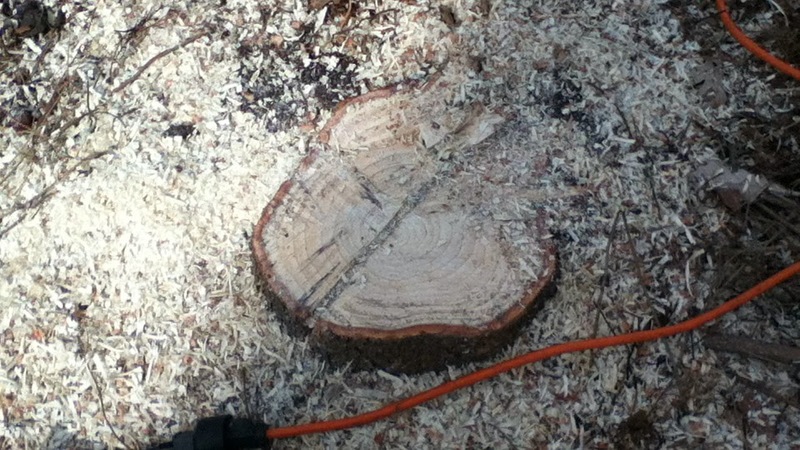 Unfortunately, my dad cut a little bit too close to the ground, so the stump barely had anything sticking out. 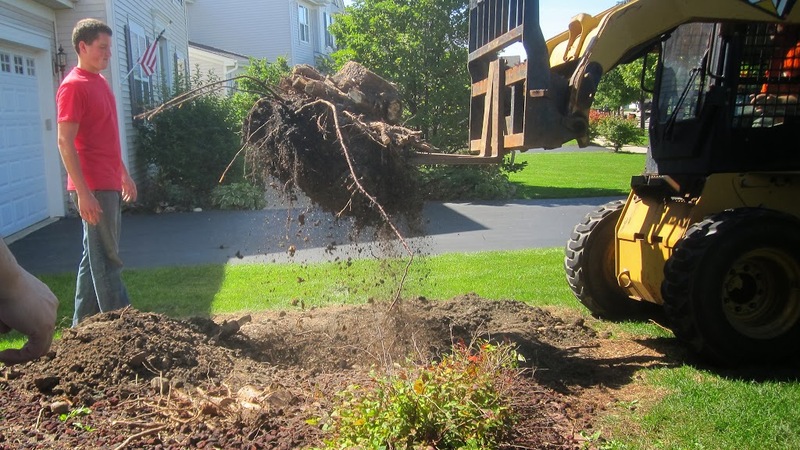 This is actually NOT what you want to do – you want to leave a little bit of stump still sticking out into the air so you have something you can use to pull when removing the root ball. 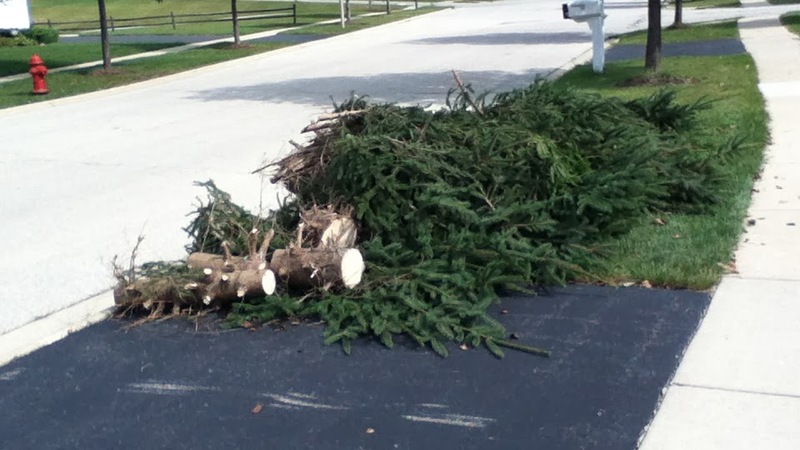 While my dad was working on cutting the side-spreading roots so we could lift out the root ball, I moved all the remains of the tree to the front driveway so our village’s public works department could come pick it up and turn it into mulch. 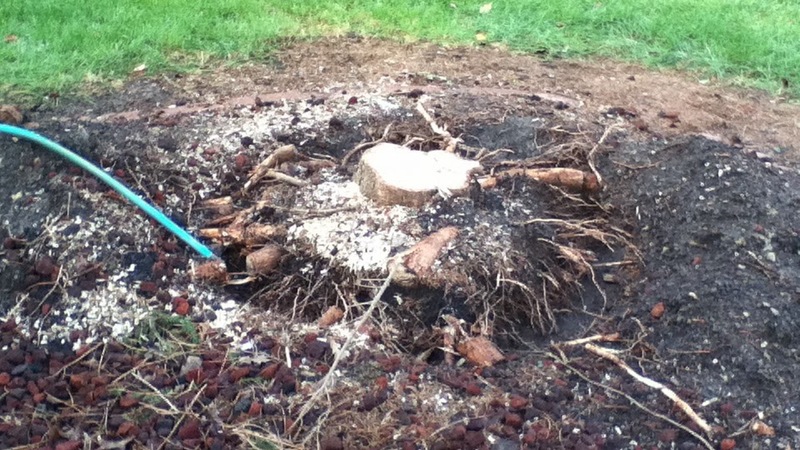 We successfully cut all the roots we could see coming out of the tree, but the root ball still wouldn’t move (again, likely because we didn’t have some stump left that we could use to pull). So, we watered the area to soften up the dirt, making it so we could dig even deeper at a future date. Unfortunately, that didn’t work out, so we ended up calling in landscaping professionals who had machinery designed to easily remove root balls. If you have any other questions, I can’t really help you out because I’m not a landscaping expert, but hopefully what I’ve been able to share so far is enough to help get your project started.